Ugly Christmas sweater parties are totally hot right now. Who doesn’t want an excuse to wear the tackiest, gaudiest, most out-of-fashion Christmas sweater without ridicule? Now you can dress your baby in an ugly Christmas sweater, too, without fear of raising eyebrows or garnering any mom shaming. 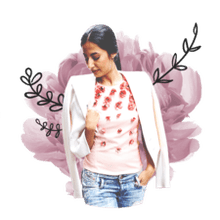 Still unsure about dressing your little one in something labeled “ugly?” Have no fear—many ugly Christmas sweaters for babies and toddlers on the market are actually quite cute and not as hideous (or crass!) as the ones made for adults. We’ve rounded up some adorable ugly Christmas sweaters for your child that will elicit cheers instead of jeers. Take a look at some of these gems . 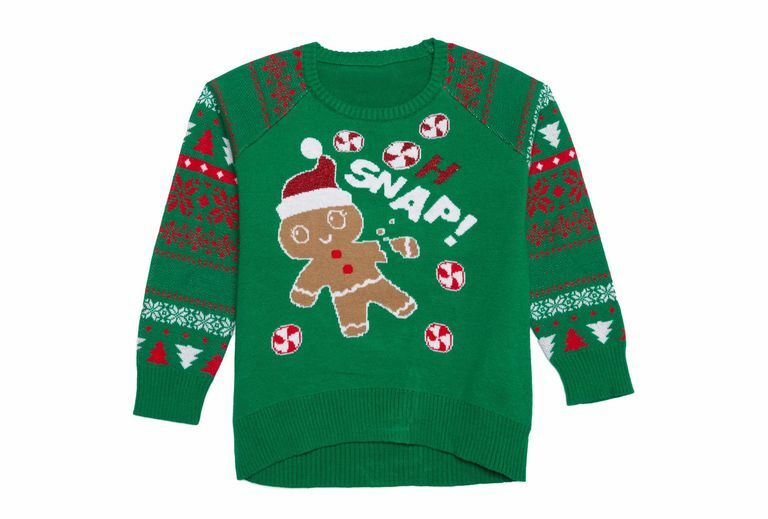 . .
First up is this hilarious “Oh Snap” sweater featuring a smiling gingerbread man with a broken arm. Who doesn’t remember snapping off the limbs of your cookies and munching them up with delight at Christmas time? Too warm outside to dress your baby in a fussy sweater? Then check out this funny little bodysuit printed with a gaudy faux Christmas vest, faux undershirt and faux ornament necklace. Your baby will be the hit of any ugly Christmas sweater party! Some people think pugs are ugly, but many pug owners find them beautiful. Regardless, this “Santa Paws” ugly Christmas sweatshirt is super adorable, kitschy and irresistible. The best part—the pug is wearing an ugly Christmas sweater. Two ugly sweaters in one! Everybody was kung fu fighting—even Santa! This blue “Kung Fu Santa” ugly Christmas sweatshirt is such a cool way for your little one to spice up any holiday party. Plus, little boys will totally love this tough Old Saint Nick. Boys love dinosaurs. Throw in Santa Claus riding on the back of a T-Rex that’s dressed like Rudolph the Red-Nosed Reindeer and you have a winning ugly Christmas sweater that’s garish, whimsical and loads of fun. Your little Ebenezer Scrooge will look delightfully cute in this zucchini green “Bah Hum Bug” ugly Christmas sweater. The old school Christmas pattern makes this “A Christmas Carol” homage sweater look like a fun 1980s throwback. An alternative to an ugly Christmas sweater for your baby is this red long-sleeve bodysuit that touts “My First Ugly Sweater.” What makes it a strange contender is that it is not a sweater at all like it claims. Maybe that’s why this cute bodysuit is so completely wrong, and therefore, ugly. Want to dress your little man like a little old man? Then check out this delightful bodysuit decorated like a faux sweater cardigan that features a darling bow tie and matching elbow patches. The clashing prints give it a dapper old man-charm that will make your baby standout at any ugly Christmas sweater party. No matter your politics, this Donald Trump “Make Christmas Great Again” is hysterical! You can just hear Trump declaring, “Christmas is huge!” from his gaping mouth on the red bodysuit. Although it’s not a sweater, this shirt definitely ranks high on the hilariously ugly list. Want a really ugly Christmas sweater option? This bodysuit decorated like a faux cardigan with faux Santa tie is super hideous, but hilarious. The print and colors are simply awful, but your little guy will still look absolutely adorable crawling around in this garish little number. If a Christmas-themed sweater looks like it walked off the set of the 1980s “The Cosby Show,” then it’s probably a pretty great ugly Christmas sweater. This sweater, with its clip-art style Santas, reindeer and stars, totally fits the bill (Bill Cosby, that is!). A Santa robot that says “ho, ho, ho?” Genius. This quirky ugly Christmas sweater is such a vintage throwback to the 1980s Alphie II Robot that was a popular educational toy and probably a hot Christmas gift at the time. There's nothing ugly about Snoopy, especially when he's "Just Chillin'" on the roof of his doghouse. This sweater is super cute, and even though it's not very ugly, it's designed in that tacky 1980s vein that will be a welcome addition to any ugly Christmas sweater party.